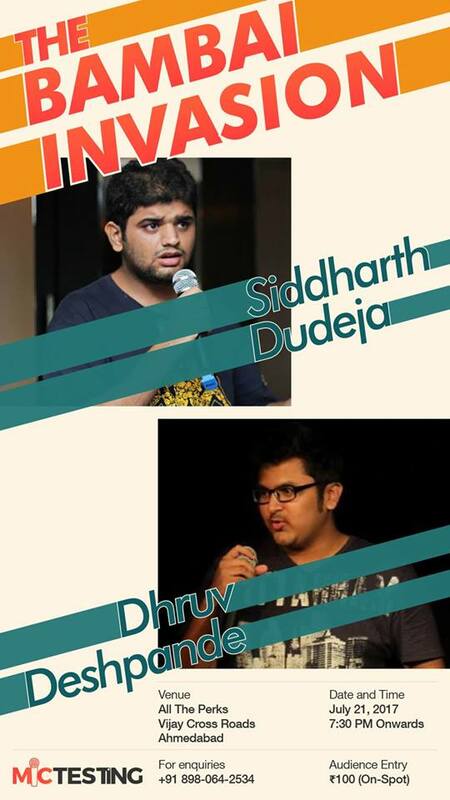 Siddharth Dudeja and Dhruv Deshpande are two Bombay (or Mumbai, whatever you prefer) based comedians and two of the funniest comedians in India right now! From working with the likes of AIB to performing at some of the biggest festivals in India, both of them have been killing it in the comedy circuit. Come and watch them perform at All The Perks India on 21st July. Siddharth Dudeja is a comedian and a liar. He may have worked with some of the leading comedians in India, or he might have not. He may have also written a lot of crap for corporates to make money, or not. He may be titled India’s best comedian with a six pack, or not. Actually the last one is true, or is it? Dhruv Deshpande likes to introduce himself as just another guy who thinks he’s funny.